At the top of the hill lies a secret that needs to be unraveled. 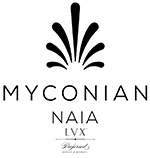 The Myconian Naia defines a whole new standard for the genuine boutique hotel experience. 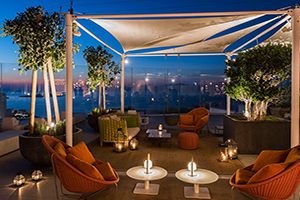 Unique and unattainable, it captures both the eye and the heart of each and every guest. 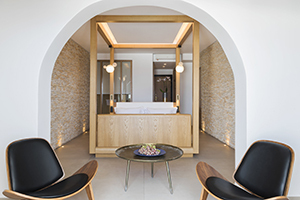 Naia embodies the true essence of a luxury boutique hotel, which is expressed through tailor-made service, a sense of intimacy and exclusivity, and perfection in every way. 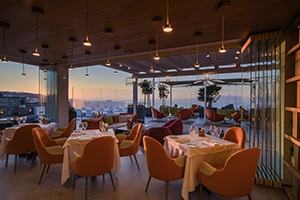 Occupies an exceptional position, a short stroll away from Mykonos town’s bustling maze of narrow alleys, booming with hip bars and acclaimed restaurants. Each suite exudes fusion chic, with fine detailing that mingles stone walls, gleaming brass, marble floors, superbly custom-crafted joinery, a layering of fine fabrics with custom-made four-poster king sized beds. Naros fulfils Naia’s promise of blissful indulgence at a sensory level, as foodies of every persuasion will be seduced by the aromas and flavors served. 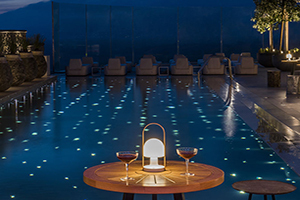 Satori Thalasso Spa allow you to relax and recharge with treatments tailored to your needs by expert therapists using products on the cutting edge of beauty treatments. Adults only resort, must be 18 years or older. 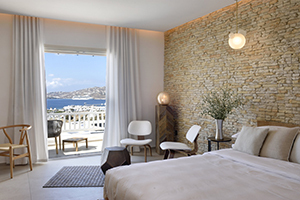 18 of the most extraordinary luxury suites on Mykonos, peaceful retreats of unique beauty that catch the eye and capture the heart at first sight. 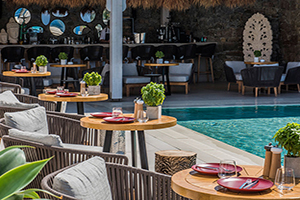 1 breakfast area, fine-dining restaurant, and Bacos Bar, one of the most charming bars on the island. 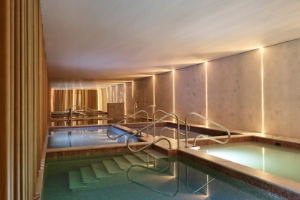 Satori Thalasso Spa features 5 therapeutic pools to balance body, mind and soul. Elegantly designed pool deck with Bacos bar located nearby. Excursions, yacht and helicopter rentals and leisure activities including water sports and horseback riding.